Since August 2017 easy-kid-care has organised a lunch table on behalf of the local community. 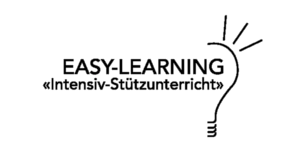 This offer is for kindergarten and primary school pupils in Egerkingen. The Local community has promised a supporting contribution for the school year 2017/18 and the catholic church has offered their nearby premises, so children can visit the lunch table for 10.- CHF. – When? Every Monday, Tuesday and Thursday from 11.30 to 13.20 during school time. – Cost? 10.- CHF per child, per meal. More Information can be found in the regulations: Lunch table, school supplementary care. You can register your child using the attached registration form. Please fill out one form per Child. We are looking forward to a great lunch table with your Children. With kind regards, your Easy-Kid-Care Team. PS: If you require supplementary school- or holyday-care, please contact us. We can offer these services at Easy-Kid-Care, Winkelstrasse 5.